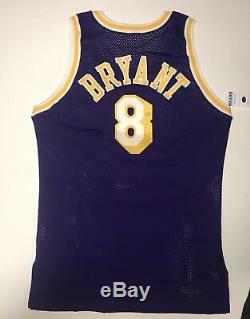 For sale is a excellent 96-97 Kobe Bryant Game Used LA Lakers Rookie Jersey. 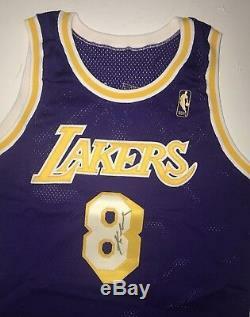 Jersey is Signed by Kobe on the front 8. 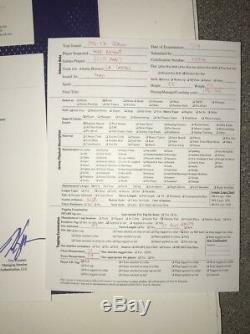 JSA Loa for the signature and Mears as well as Dave Miedema LOA for the game use. 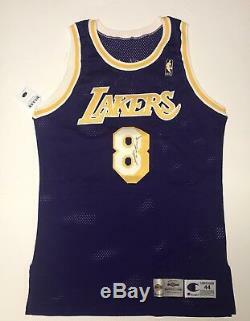 Jersey shows loose threads and nice wash wear. 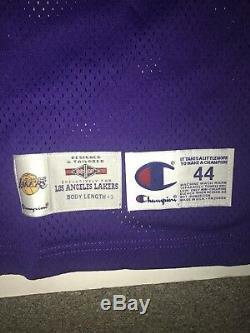 Please see pictures and LOAs attached to this listing. 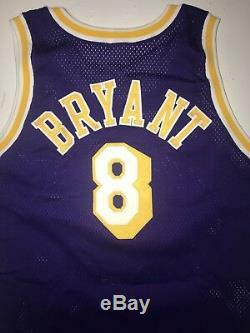 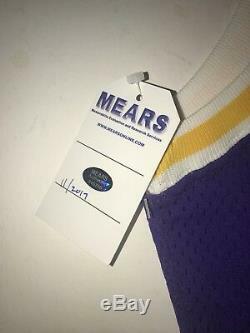 The item "96-97 Kobe Bryant Game Used LA Lakers Rookie Jersey Signed Mears/Miedema/JSA LOA" is in sale since Monday, January 22, 2018. 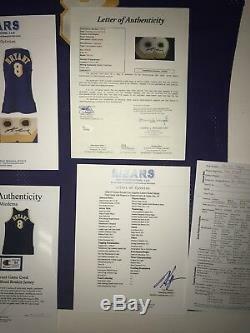 This item is in the category "Sports Mem, Cards & Fan Shop\Game Used Memorabilia\Basketball-NBA". 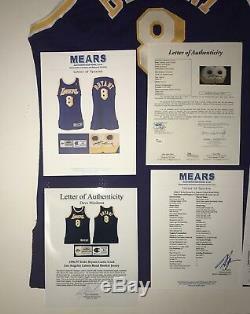 The seller is "gameusedgamers" and is located in Cincinnati, Ohio.